Avira Phantom VPN is an easy-to-use VPN service brought to you by a renowned German company, best known for its excellent and widely used antivirus software. Keeping in mind the quality of its other products, we were interested to find out what kind of VPN protection Avira has created for its users. We were far from disappointed but did find that there was some room for improvement. Find out more in this objective Avira Phantom VPN review. Avira Phantom VPN was created with the goal of providing high-quality VPN protection to everyone who may need it. You don’t have to know anything about VPN technology in order to set up and use the software. Just start the download, open the installer, follow the simple instructions, and your software is ready to use in minutes. The client features a clean and modern design and there is nothing complex about it. You can simply turn the VPN on and off and easily access the settings, which allow you access to a few rather basic features, including the possibility to choose the desired server location. Read more about the available settings in the Features section of this Avira Phantom VPN review. Avira Phantom VPN operates servers in 20 countries around the world, including the most popular locations such as the UK, the US, Hong Kong, Singapore, and the Netherlands. The number of servers and server locations is not particularly impressive, but it is sufficient for most users. Also, new countries are constantly added to the list. During our speed tests, we have identified great differences in the software’s impact on speed across devices. With the desktop version, the speeds were satisfactory but mostly average and varied depending on server location. On the other hand, the speeds were more than impressive with the mobile version. The stellar results, both on Android and iOS, show that this VPN service is among the best around when it comes to mobile use. The overall performance was extremely smooth, we did not experience any dropouts, and we are happy to say that we did not detect any IP or DNS leaks. We also like that you get unlimited bandwidth with your subscription, so you can browse, stream, and download care-free. Avira has not exactly gone the extra mile when it comes to platform compatibility. 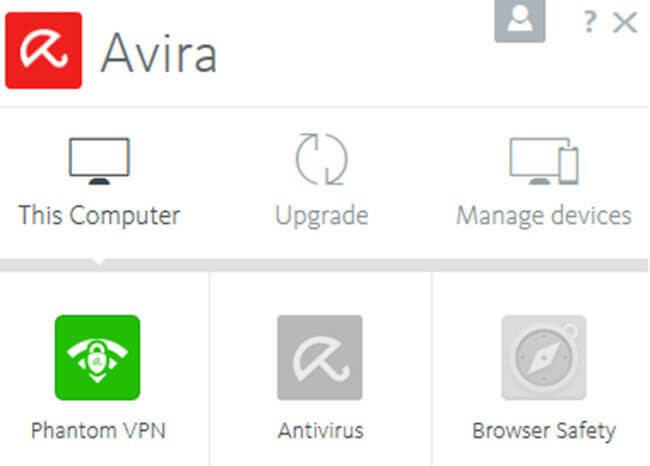 Avira Phantom VPN supports Windows, Mac OS, Android, and iOS. However, it does not support all versions of Windows, only Windows 7 and higher. It is not compatible with routers. What we love is the fact that with a single account, you can use Avira Phantom VPN on any device you own, as long as it is supported, and you can use it on as many devices as you wish simultaneously. Being used to only a limited number of simultaneous connections, we were rather impressed by this feature. Avira Phantom VPN offers high-level encryption and smooth performance and keeps no logs of your activity. You can use it on as many devices as you wish at the same time and enjoy unlimited bandwidth. Strangely enough, there is no mention of P2P sharing on the website. We have contacted customer support, but we did not get any concrete information, apart from the fact that the availability of P2P sharing depends on the laws of the country where the server is located. Therefore, we can conclude that P2P may be an option, but not with all servers. We have mentioned before in this Avira Phantom VPN review that the Avira Phantom VPN client allows access to a few basic features. You can switch between servers, enable auto-start at system startup, and allow the software to automatically establish a secure VPN connection when using untrusted Wi-Fi networks. You can also choose whether you wish to allow sending diagnostic data to Avira. You can use Avira Phantom VPN to bypass geo-restrictions, stream all kinds of content wherever you are, access gaming servers, and safely connect to unknown or public networks. The speed is good on desktop computers and surpasses expectations on mobile devices. The software features DNS leak protection, as well as a kill switch, thus offering you a high level of security. It does not keep logs of your activity and uses practically bulletproof encryption for great anonymity. The Avira Phantom VPN website does not clearly state which protocols the software uses, but only highlights that it features the strongest AES 256-bit encryption. Upon thorough inspection of the Support section, we discovered that authentication is done using SHA512 and the connection is established over SSL/TLS. The company takes pride in not monitoring your activity, with the only data tracked being that related to bandwidth use and information on whether you are a paying or free user. Avira Phantom VPN also tracks diagnostic data in order to improve the software, but you can disable this form of tracking. Unfortunately, paying via BitCoin is not an option and you have to enter basic personal data when purchasing a subscription. Still, with bank-grade encryption and no logs of your activity, the software brings you a high level of privacy. Avira Phantom VPN offers excellent customer support. Its website is a great place for finding all kinds of answers, as well as asking questions and joining discussions. You can make use of the simple and useful FAQ, browse the Support section with ease thanks to the search field, and check out the blog and forum. You can also contact email or phone support and get a helpful and prompt answer from Avira’s friendly staff. If you are in a hurry, you can stop by the Answers section and contact the available experts via live chat. The pricing is simple with Avira Phantom VPN. You can choose between monthly and annual subscription. You can pay via credit card, Webmoney, PayPal or wire transfer. If you want to try out the service, you can download the free version of Avira Phantom VPN and get 500 MB of bandwidth per month without registration or 1 GB with full registration. If you are not satisfied with the service after purchase, there is a 30-day money back guarantee. As we wrap up this Avira Phantom VPN review, here’s a quick overview of the features that wowed us and the aspects of the service that could use some improvement. Our ratings are the result of an objective and independent evaluation of Avira Phantom VPN, generating the final rating that reflects the overall quality of the company. Ratings may change as the service changes. Avira Phantom VPN user rating based on 6 user reviews. Good VPN overall, although I did have issues with bandwidth limit after switching from free to paid version. The support did help, but only after several attempts. Everything great except the price. 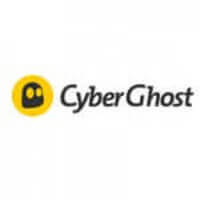 We found 1 verified Avira Phantom VPN discount for April, 2019. 33% OFF when you subscribe for 1 year! Sign up and we’ll let you know about future Avira Phantom VPN promo codes. Discover the full range of possibilities Avira Phantom VPN offers and become an advanced user in no time with our beginner-friendly Avira Phantom VPN guides. Whether you are interested in secure torrenting, unblocking Netflix, setting up Avira Phantom VPN on all your devices or you simply want to learn more about Avira Phantom VPN, you can find verified information and clear instructions in our Avira Phantom VPN guides below. Does Avira Phantom VPN Work With Netflix? - which informs you about this VPN’s current ability to unblock US Netflix.